In the spirit of accessible opera for all, tickets are absolutely free, and may be reserved in advance online here! 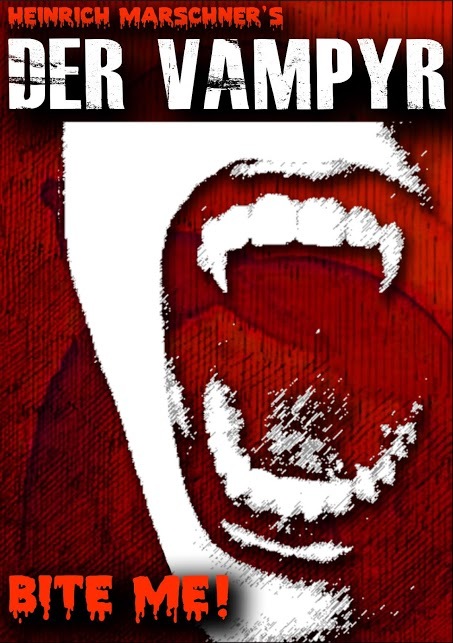 BOSTON, MA – OperaHub broadens their ambitions with their June 2014 production: a new adaptation of Heinrich Marschner’s 1828 gothic opera DER VAMPYR. Though the work had its American premiere at the Boston Conservatory in 1980, it has not been seen in Boston since. Several companies around the world have produced it in recent years, including the American Symphony in Spring 2013 and the New Orleans Opera last fall. Hailed by the New York Times as a “gem of an opera,” it falls stylistically between Weber’s DER FREISCHUTZ and Wagner’s FLYING DUTCHMAN, with a thematic debt owed to Mozart’s DON GIOVANNI.